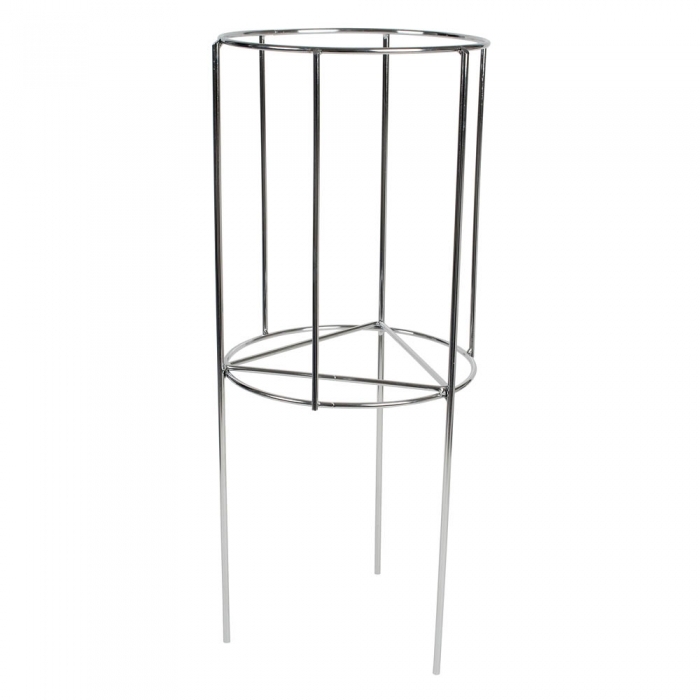 Chrome plated net basket stacker with a holding capacity of up to 50 net shopping baskets. Suitable for our 8-10 inch diameter net shopping baskets. This net shopping basket stacker will hold our smallest net shopping baskets. Height of 66cm (26 Inches). Chrome legs to stand with chrome rods to prevent the net shopping baskets coming out of the unit. Custom manufactured within the UK.